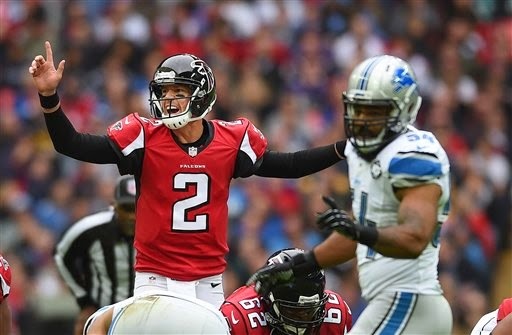 - The Falcons are 2-5, desperate and badly in need of a win. And they are playing like it. The Lions, on the other hand, are playing like a team which has already limped into its bye week. What a nightmare of a first half for the Lions. I thought it was summed up by Ndamukong Suh inadvertently colliding with Nick Fairley, injuring Fairley's knee. The Lions could really use C.J. Moseley right now. Bad timing for his conduct issue. Jeez. - This looks like the Lions' offense from late last season when it was void of any real weapons other than a banged up Calvin Johnson. Think about it: Matt Ryan is throwing to Julio Jones, Roddy White and Henry Douglas, while Stafford's options are Golden Tate, and well, Golden Tate. 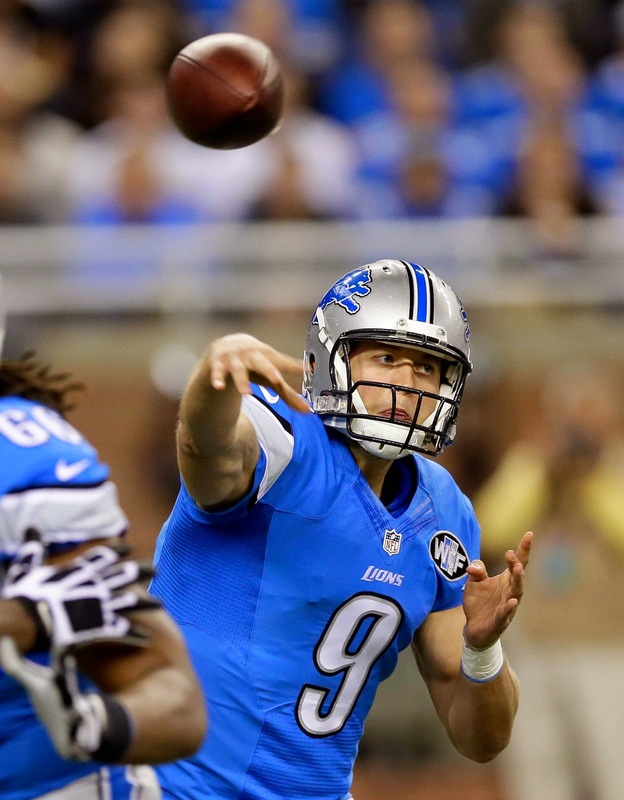 Without Megatron, Reggie Bush and their tight ends, the Lions' are badly lacking a supporting cast for Stafford. - The Lions offensive line just isn't playing well. Hasn't all season. - Nice try by Rashean Mathis, but that was a classic example of pass interference. It was interesting how he maneuvered his way 103 yards down the field in close minute's time, or so it seemed. - A lot more Jeremy Ross would be a good thing for the Lions. This very much appears to be a replay offensively for Michigan of its last couple visits to Spartan Stadium. The Wolverines just can't do anything offensively. Simply put, the Wolverines' offensive line is terrible. Devin Gardner and UM's running backs don't have a chance. If it weren't for a missed field goal, Connor Cook missing a wide open receiver, Aaron Burbridge, for an apparent touchdown and a fumble by Spartans' tight end Josiah Price, the rout would be on. As is, it is still 14-3, but only because the Spartans are shooting themselves in the foot. The Spartans should, honestly, be winning this game by three or four touchdowns. More utter embarrassment for Michigan football. - How can Michigan's defense allow a 5-8 (and that's being generous) 196-pound running back move the pile five yards like Nick Hill did early in the second quarter? - If Michigan's secondary isn't the worst in the nation at playing the ball while it is in the air, it is close. The play in which cornerback Jordan Lewis was flagged for pass interference, after giving up a long gain anyway, was especially telling. - It's still a game, but probably shouldn't be. The missed field goal try into the wind by MSU kicker Michael Geiger is the reason. The Spartans simply look like the better team in every way. - If there is one play that sums up the Michigan-Michigan State rivalry these days it is Spartans' quarterback Connor Cook just plowing over Wolverines' defensive back Delano Hill, and then Hill getting a penalty for taking a shot at Cook after the play. 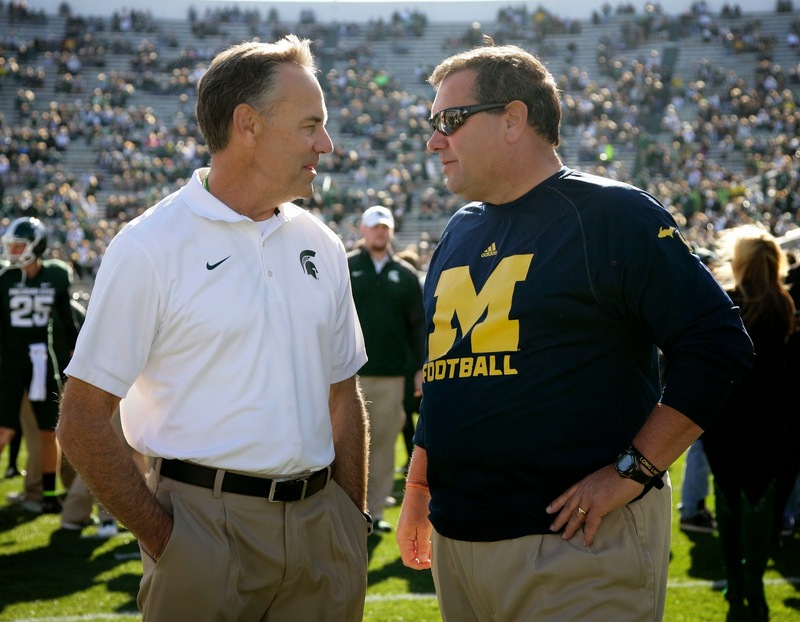 The Spartans are exceptionally tough football team, the Wolverines extremely soft in comparison. It's been both mentally and physically, and for awhile, too. - I do like Michigan's basic strategy defensively. It is to try to take the run away from MSU, and force Cook at to beat them throwing the ball. It's the Wolverines' only chance. Not that it's a good one because the Spartans throw the ball well. And MSU is still running the ball relatively effectively. The passes have loosened up the Spartans' running attack. - I understand doing everything possible to take away helmet-to-helmet hits, but I did feel bad for MSU freshman Chris Frey. It wasn't intentional, it didn't seem that damaging, and yet he was thrown out of the game. Guess it is better to err on the side of caution. 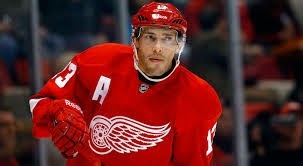 Is Pavel Datsyuk still a special player or overrated at this point? There was a time at Joe Louis Arena, not long ago, when they would interview a long-time season-ticket holder during a break in the action on the overhead scoreboard. One of the question they'd ask, "Who is your favorite Red Wing?" Most nights the answer: "Pavel Datsyuk." There are two things Datsyuk does better than any player I've ever seen - stickhandle and take the puck off opposing forwards. He is also an adroit playmaker, and has excellent snap and wrist shots, although he doesn't deploy them nearly enough. Count me among those who have long lauded Datsyuk as one of the best players in the world, and that, if anything, he is underrated outside of Detroit. Yet, in truth, it's been awhile since Datsyuk, 36, has been that great player. He missed nearly as many games as he played last season because of a knee ailment. He played brilliantly for Russia at the Olympics, although his team was crushed, and he had one terrific playoff game for the Red Wings last spring (the only one they won vs. Boston, which was not a coincidence). He was hurt (shoulder) in the first preseason game this season. It's almost like he hasn't been part of the team, nor that Red Wings are depending on him. It's been more like Datsyuk, at 36, has become an more an "X" factor than a great player. Well, he's back tonight for the Red Wings at Montreal. TSN still rated Datsyuk as the 17th best player in the world, but he was less than a point per game player last season, and just plus one. If the Red Wings have Datsyuk and Henrik Zetterberg really back and rolling as a 1-2 punch, it greatly changes the dynamic of what they are capable of accomplishing this season. You saw what Zetterberg did against Toronto over the weekend. It was special. Is Pavel Datsyuk still special? - The Lions finally put together drive by mixing their plays up better and taking a shot or two little deeper. They also relied a bit on Joique Bell. Today, that's a good thing. He is running well. - If you give Drew Brees and inch, he is going to take a mile. His 46-yard TD pass to Kenny Stills was a classic example. He had a guy open. He didn't miss. Also, you saw his brilliance when the Lions had the Saints pinned back to their own one after a punt, and Brees immediately fired a pass to Marques Colston for a first down. Even Lions' fans have to admire his brilliance in a way today. It's almost like a privilege to watch the guy play. He is that good. Or should we say great. He has the Saints on the move again. - Can you image this game coming down a field goal attempt by Matt Prater? Never mind. - While the Lions' defense is playing well enough to win this game, their offense clearly is not. Matthew Stafford is not sharp. He did miss Brandon Pettigrew for a potential TD in the second quarter and has been just a bit off with too many throws. And it's not like Stafford is getting much help from anybody other than Golden Tate. - As well as the Lions defense played for most of the first half, it was disappointing, to say the least, how it ended. The two-minute drive by Drew Brees and the Saints was just too easy. - How about a little more Joique Bell and little less of Reggie Bush. Bell seems to be the more effective of the Lions' two backs today and they need to gash the Saints a little bit inside. - Matt Prater is a shank about to happen. If there is anything such as a bad made field goal attempt, Prater demonstrated it by banking in a 21-yard attempt off the left upright during the second quarter. Brutal. 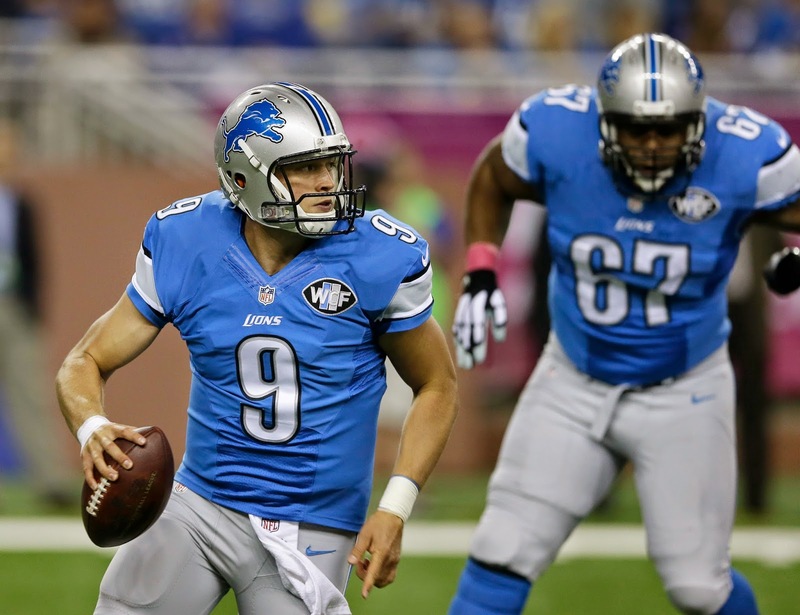 - The defensive line is an obvious strength for the Lions. The most underrated player on the front is tackle C.J. Mosley. He is not only solid at the point of attack, but he makes his share of big plays. We saw another example of that when he stripped Saints' running back Khiry Robinson of the ball and caused a fumble during the second quarter. - The concept of Tate on bubble screens and quick flips to the flat against zone coverage is a good one. He is terrific running after the catch. It might be a good idea to use him on reverses, as well. - The Lions' offensive line has been subjected to much criticism this season, and its effectiveness is certainly worthy of the questions. Yet, it's difficult to tell sometimes whether it's because of different pass protections than they used in the past. But what is clear, the offensive line is not creating running room at all up the middle. It does make you wonder how much tread is left on the tires, so to speak, for guard Rob Sims and center Dominic Raiola. - The Lions' defense looks good today. They have put good pressure on Drew Brees. They also aren't afraid to bring pressure from their linebackers and safeties. The sack by James Ihedigbo was key. It's still early early, but it not an overstatement to suggest Teryl Austin is running a much better scheme than the Wide 9 the Lions' deployed under the previous coaching regime. 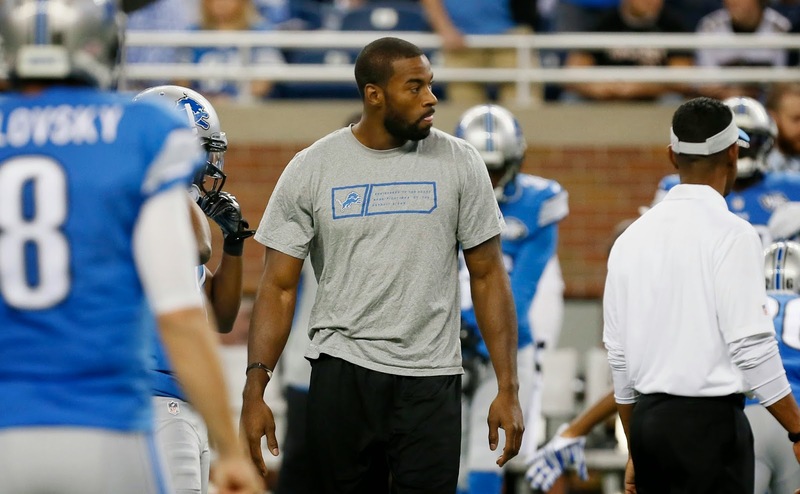 ﻿﻿﻿﻿- Without Calvin Johnson, the Lions must do the basic things well offensively today. One is they must run the ball better. Yes, they have been able to run the clock out late in some games this year, but their rushing attack has been among the bottom quarter of all NFL teams. It's been disappointing so far today. Also, they can't, obviously, turn the ball. That's been disappointing so far today, too. The defense isn't going to hold the Saints' offense with a short field. And they can't take foolish penalties, like the one on Glover Quin at the end of the quarter. - The kicking situation is a disaster. The Lions will probably get away with it today because of the Vikings' ineptitude offensively and the strength of their Front 7 defensively, but come on..
- Hate to say it, but guard Rob Sims and center Dominic Raiola have not been playing well, and it could be Father Time may have caught up to them. To have Stafford sacked and hit this often is unacceptable. It's not like there is much option at backup QB, either. - The one problem with trying to run out the clock with Joique Bell and George Winn as your running backs is both have shown the propensity to fumble. - The missed field goals mean more than just three points not being added to the scoreboard. Particularly with the Lions at this point, they are very deflating. 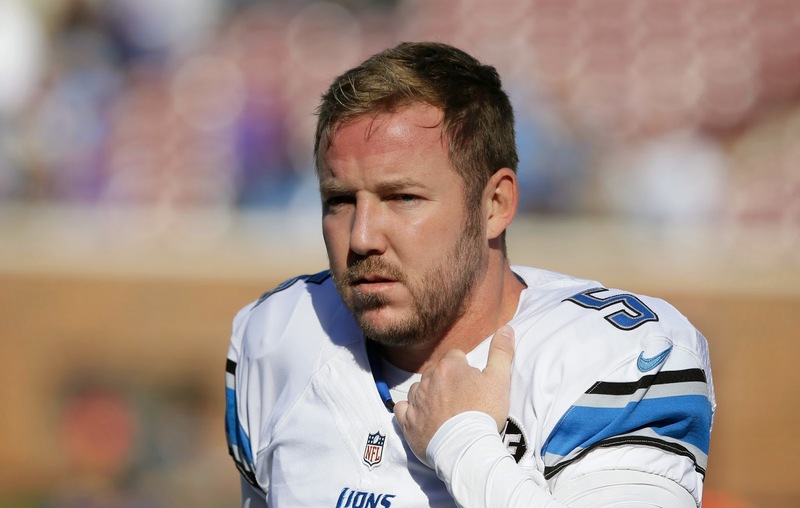 You just can't measure how much Matt Prater's miss took the life out of the Lions' offense. The Lions obviously should have drafted either the Eagles' Cody Parkey or the Cardinals' Chandler Cantanzaro rather than Nate Freese in the seventh round. Both those undrafted rookies are having excellent seasons for their respective teams. I know, Prater hit the second one. But one of two isn't good enough. Not even close. - Having said that. Matthew Stafford has to pick it up. He was brilliant on the first drive of this game. Not so good since. A big issue, however, is the Lions' poor pass protection. - The Lions' defensive line is playing well today, especially Ziggy Ansah and Ndamukong Suh, both against the run and the pass. They should do well, though, against an inexperienced QB like Minnesota's Teddy Bridgewater. The Vikings' offensive line is not that good, either. - In fairness to Bridgewater, he'd be much more effective if the Vikings had Adrian Peterson and tight end Kyle Rudolph. They clearly aren't the same offense without those two, especially Peterson, a Hall of Fame talent, at running back. - Lions' running back Theo Riddick doesn't have great track speed (he nearly ran a 4.7 in the 40-dash at NFL Combine), but he does have functional football speed. He is also very elusive in the open field. And he has excellent hands. 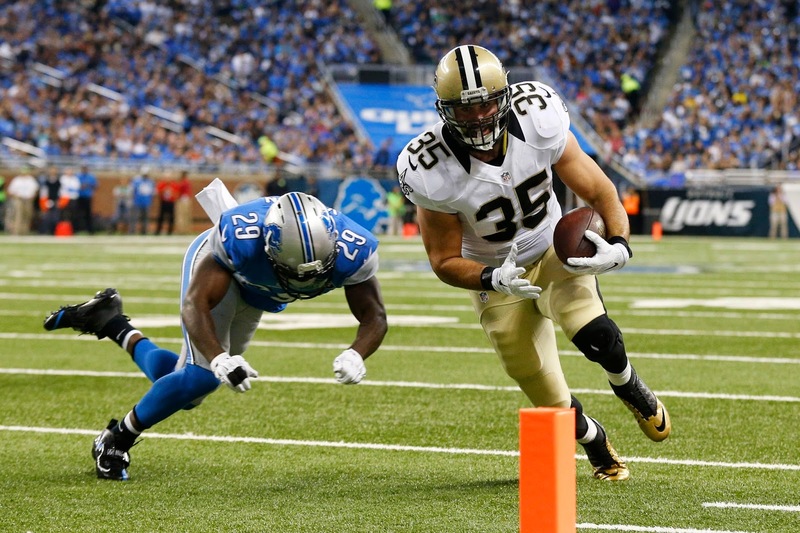 While he lacks Reggie Bush's home run speed, Riddick is more than capable of filling the same role. You definitely saw that on the Lions' first drive. It was an excellent example of a solid draft evaluation when the Lions took Riddick out of Notre Dame with their sixth-round draft pick in 2013. - Lions' safety Glover Quin made two big plays in the first quarter. The most obvious was intercepting Viking QB Teddy Bridgewater's pass in the end zone. Less obvious was tackling Vikings' wide receiver Jarius Wright in the open field on a reverse. If Quin didn't make that tackle, it's likely Wright would have taken that run all the way for a touchdown. - Count me among those who viewed the Lions' secondary as by far their biggest weakness coming into this season. It's amazing how well it has played this season. Bizarre call by Penn State coach James Franklin to try a fake punt. It's not like Michigan's offense is doing anything threatening. 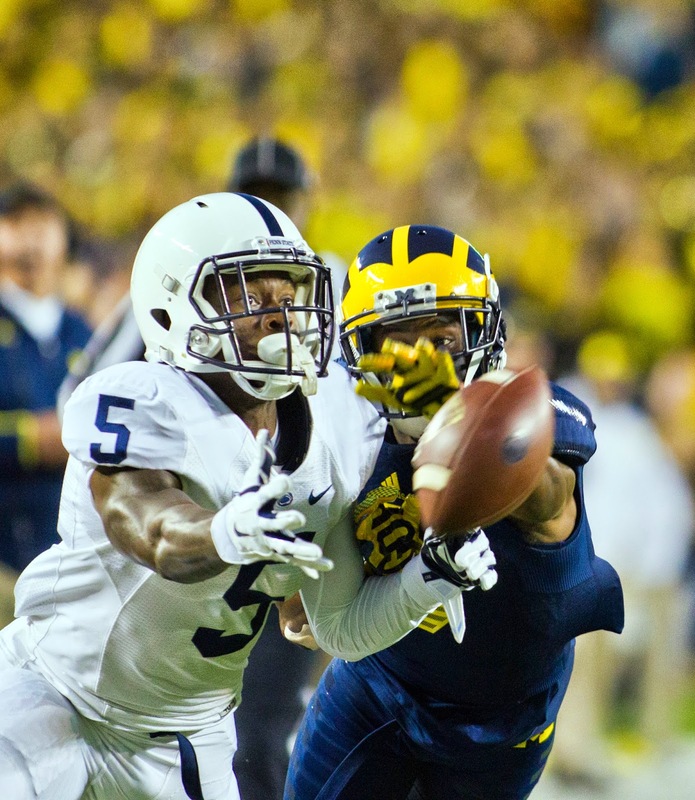 Penn State's best move is to pin Michigan deep its own territory and watch Wolverines' offense self-destruct. Instead, the fake punt failed, essentially flipping the field in the Wolverines' favor. Also, it was ill-conceived play. Slow developing fakes on special teams like that are a recipe for failure. Good job by Michigan's Mike McCray sniffing out that out and making a play. - Looked like Christian Hackenberg went to the Devin Gardner school of quarterbacking on the interception by Jordan Lewis. Horrible throw. - Ah, haven't already seen enough Russell Bellomy to know what type of QB he is? That Nebraska game a couple years ago sealed it, right? - Devin Gardner remains a turnover about to happen. He has made several good throws in this game, but just when you least expect it, the turnover card comes up, Gardner's interception in the second quarter on a screen pass was brutal. The first half of this game sums up his career as Michigan QB. 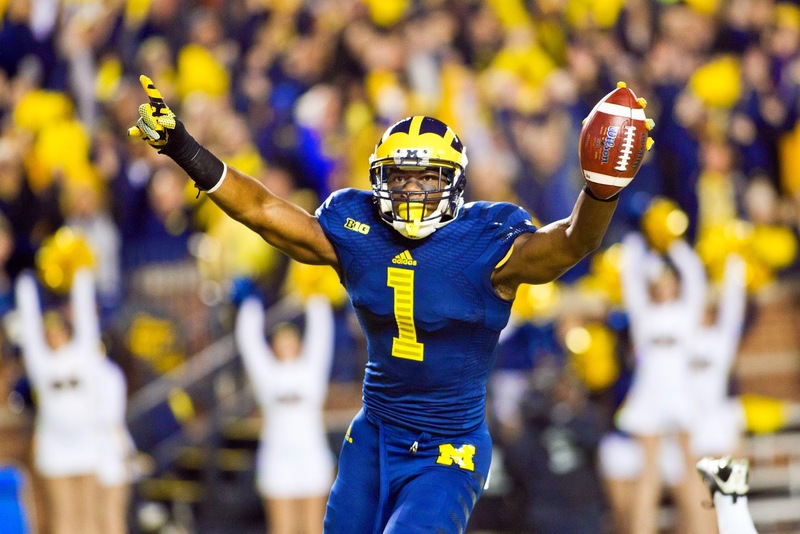 - For all of Michigan's issues, and the way the Wolverines' highly-regarded recruits just haven't lived up to their advanced billing across the board, the one very notable exception is Devin Funchess. What a brilliant TD reception that was. He is an extraordinary player, and it wouldn't surprise me if he is a Pro Bowl NFL player some day. Big. Strong. Fast. Great hands. Great combination for Funchess. - For what it's worth, Michigan Stadium is far more full for this battle of mediocrity than Spartan Stadium was last Saturday for Nebraska-MSU. Amazing, especially considering how many people this stadium holds compared to the one in East Lansing. Granted, it's a much better night weather-wise, but come on. We'll see how fast it clears out if Michigan loses its handle on this game. - Christian Hackenberg has struggled this season, but he possesses a big-time arm. The way he gunned that TD into a seam during the second quarter looked like something you'd see in an NFL game. The story is well-documented. How the Lions draft Boston College kicker Nate Freese in the seventh round. How he was supposed to be their answer at kicker, following the retirement of Jason Hanson, and the disappointment of David Akers in 2013. Freese didn't do well. He was cut. 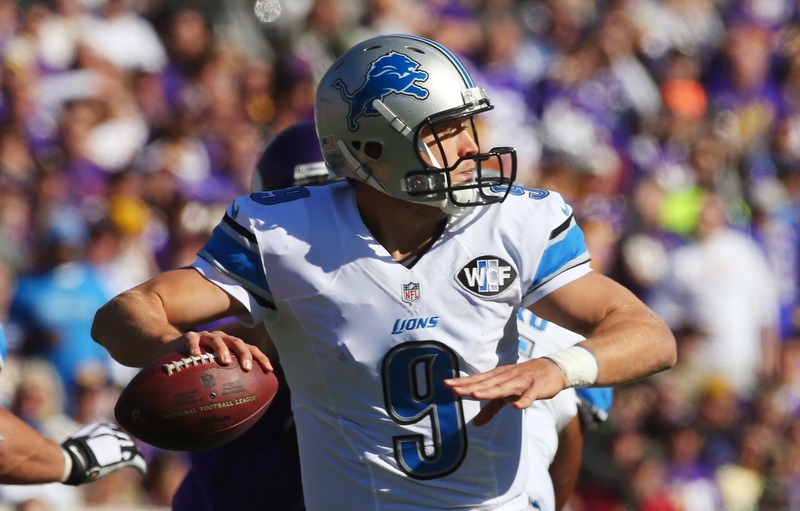 His replacement, Alex Henery missed three FGs in the Lions' 17-14 loss to Buffalo Sunday. 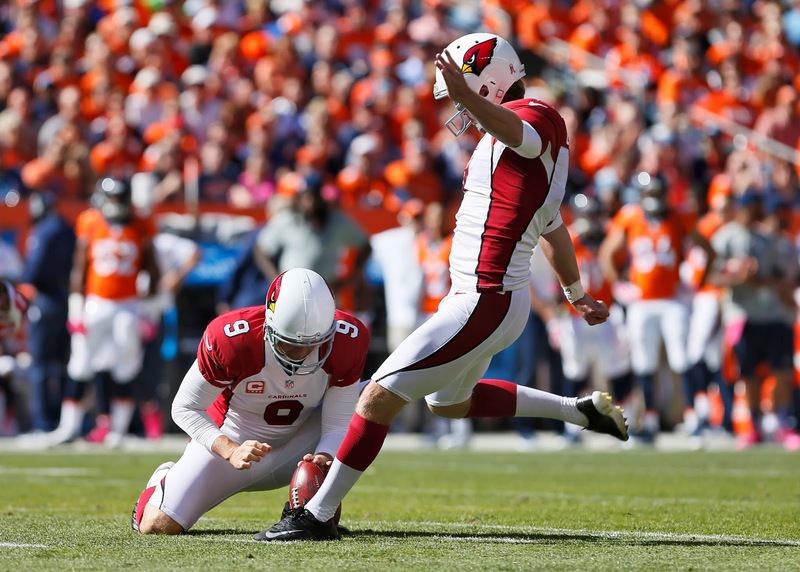 But it's the kicker the Lions let get away that really adds salt to the wound, Arizona rookie Chandler Cantanzaro. Beating out former University of Michigan kicker Jay Feely, Cantazaro already has two field goals in a late afternoon game today for Arizona at Denver, and is 11-for-11 this season. He was undrafted last May of Clemson. He was the kicker the Lions should have drafted in the seventh round rather than Freese. It was very seriously wrong missed evaluation, and it proved tremendously costly for the Lions Sunday. There are common threats top teams have, regardless the level of football. It is they not only force turnovers, but score defensively. The Lions have done that this year. It's been one of their great strengths. - Veteran cornerback Rashean Mathis has gotten much notoriety lately, and it's deserved. He had a huge play today, squatting on a route by rookie first-round NFL Draft pick Sammy Watkins, intercepting Kyle Orton's pass and taking it to the house for a pick 6. But it isn't only the one big play that has given Mathis such value. He is very good in man-to-coverage shadowing receivers. He may be older (34) than the typical NFL corner, but he is a very good player. Actually, he has been better this year than last. - That interception was all on Matthew Stafford. Reggie Bush was open. It was a short pass. Stafford threw it behind hin. No reason or excuse for that one. It took the wind out of the sails of the Lions' offense. They were starting to roll before that play, they were sluggish the rest of the half after it. - DeAndre Levy had six tackles in the first half. The guy is a machine. Always around the ball. Ndamukong Suh has been more active this week. That was his best half of the season. The two of them always seem to be around the ball. - Quarterback E.J. Manuel hadn't played well for Buffalo. His completion percentage was below 50. But I still think he would have given the Bills a better chance of winning this game than Kyle Orton. The Lions have an excellent pass rush, and at least Manuel has good mobility. Orton is just a sitting duck in the pocket for the Lions' defense. 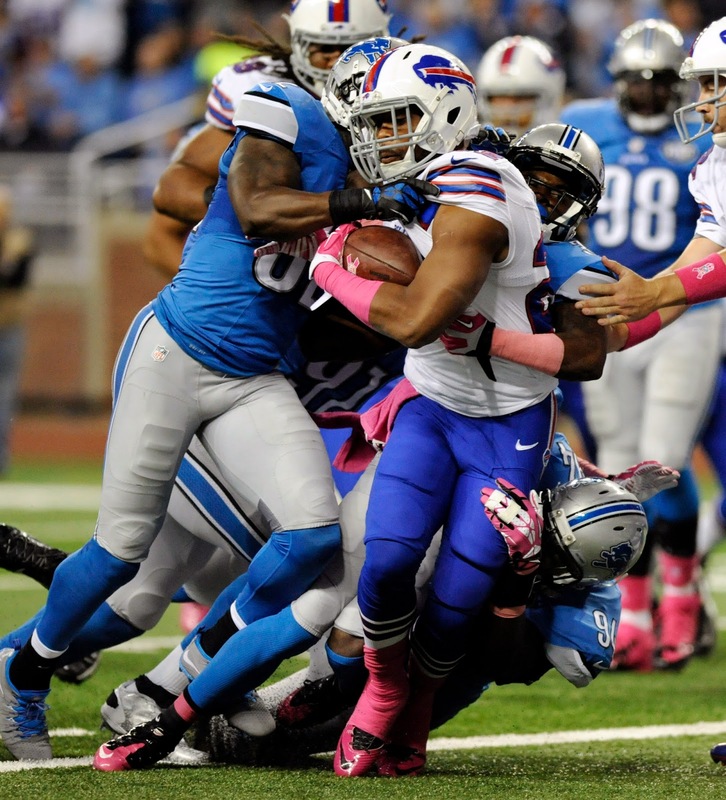 - Lions' linebacker DeAndre Levy is just a search and destroy machine, isn't he? - George Winn, the pride of Southfield and the University of Detroit Jesuit High School, is running hard. He looks very good. We'll see if he is able to hold onto the football. It was a problem for him in the preseason. - How about instead of getting the ball into Brandon Pettigrew's hands in space out in the flat, do it for Eric Ebron. Bet he'd make a big play. The kid has excellent after the catch skills the Lions have yet to exploit. - Matthew Stafford looks like he has a lot of zip on his fastball today. He displayed great velocity on the near-TD to Ebron, and the TD strike to Golden Tate. 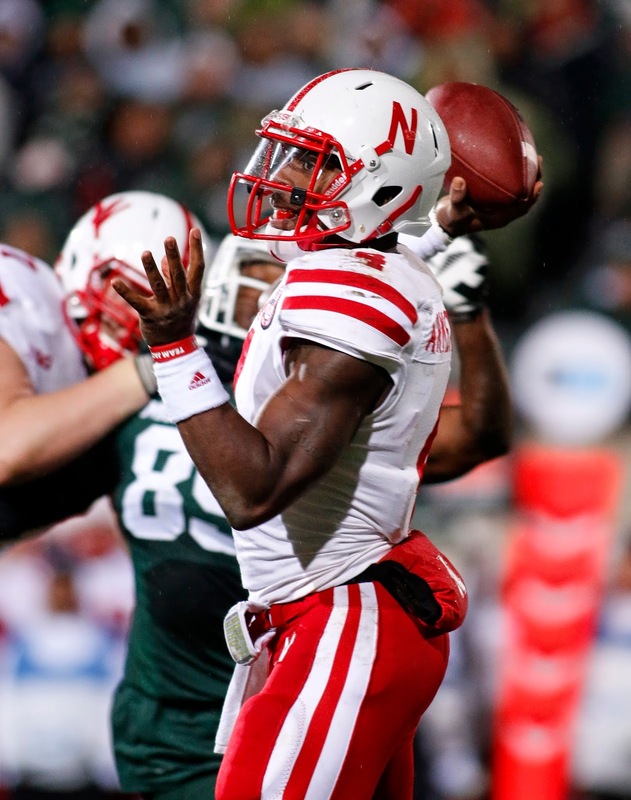 - Michigan State's cornerbacks are just owning Nebraska's wide receivers. There is no separation at all on "go" routes, even if the Spartans are in press coverage on every play. - Nebraska QB Tommy Armstrong Jr. looks like a throwback to the old days when option quarterbacks were one-dimensional as runners. Lack of passing remains Nebraska's big issue offensively in the Bo Pelini era. The Cornhuskers wouldn't have even remotely threatened to score in the first half were it not for a muffed punt by MSU returner Macgarrett Kings. 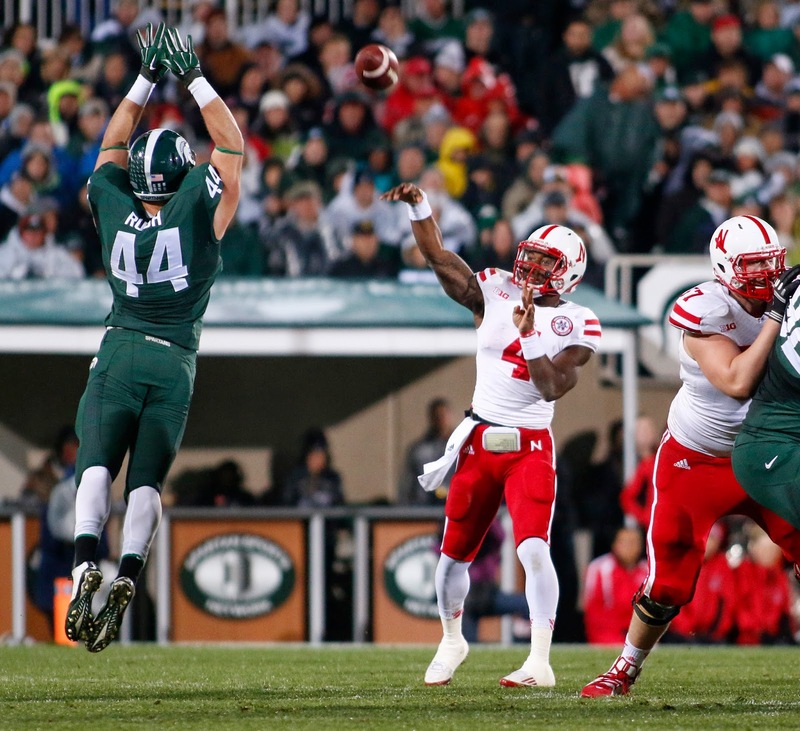 - Nebraska's scheme plays right into the hands of MSU. It's old-fashioned, hard-nosed football. The Spartans aren't going to lose that type of game. They remain exceptionally stout defensively and solid and balanced offensively. That was a big-time strip by linebacker Ed Davis on the fumble by Armstrong. - Connor Cook makes more than a few throws that are NFL caliber. I'd be surprised if he isn't the next MSU QB to make a mark in the NFL. He is at least as good as Kirk Cousins, and probably better than Brian Hoyer, from what I can tell. - The Spartans are very much stacking the line defensively. Everybody, including the safeties, are within 10 yards of the line of scrimmage. Clearly, the strategy is to make Nebraska try to beat the Spartans with quarterback Tommy Armstrong's passing rather than All-American candidate I-back Ameer Abdullach's running. It's the obvious, and smart thing, to do. Armstrong's interception was easy pickings for MSU cornerback Trae Waynes. He just isn't that good a passer. - MSU quarterback Connor Cook looked a bit uncertain on the Spartans' first couple of possessions. It was kind of a weird play, and out of character, for Cook to picked off on a tipped ball like that. It seemed like the pass over the middle to Josiah Price for a first down, opened up the Nebraska defense a bit. Tony Lippett continued his terrific senior with another big TD catch. He is on pace for more than 1,000 yards receiving. Wouldn't surprise me if he gets it. - The motion penalty on Nebraska guard Jake Cotton, in which he literally fell on his rear end while awaiting the snap, was one of the most bizarre things I have ever seen in a football game at any level. What was the guy doing, a plunge for an ice tea commercial? 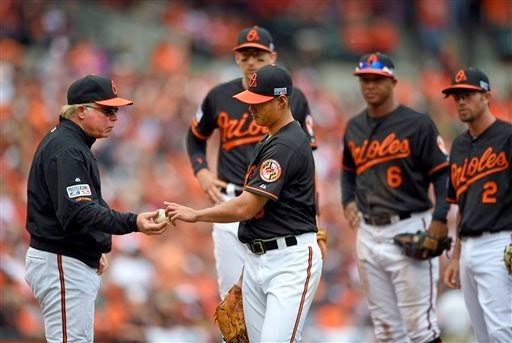 - Orioles' manager Buck Showalter made an obvious mistake by starting lefty Wei-Yin Chen instead of Kevin Gausman today for the Orioles. Chen., even though he won 16 games and is solid, fits right into the collective wheelhouse of Tigers' hitters, Gausman appears like their worst nightmare as a hard-throwing right-hander with command of the baseball. - Anibal Sanchez has terrific movement on his pitches. It's almost like hasn't even been out. 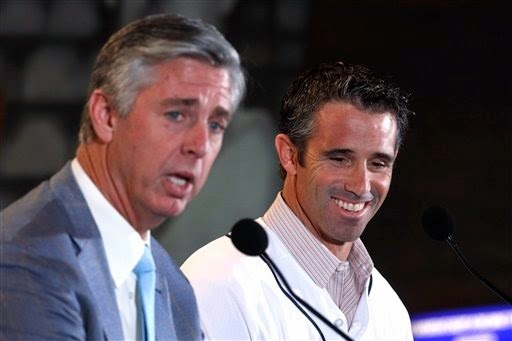 If this stays a two-run game, it'll be interesting to see if Brad Ausmus goes to Joe Nathan in ninth or when. 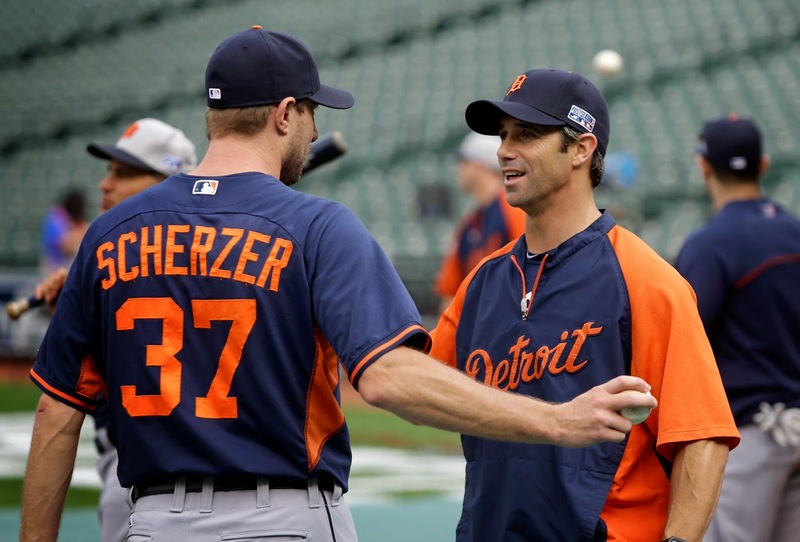 - Justin Verlander didn't get as deep into this game as hoped, but the good part is that Sanchez was there to pick him. It would be a misnomer to suggest Verlander is back. He is not a dominant pitcher right now, but he certainly better than he was for much of this season. - It'll be interesting to see how much trust in the various elements of his bullpen Ausmus will have today, especially Joakim Soria, who was awful last night. 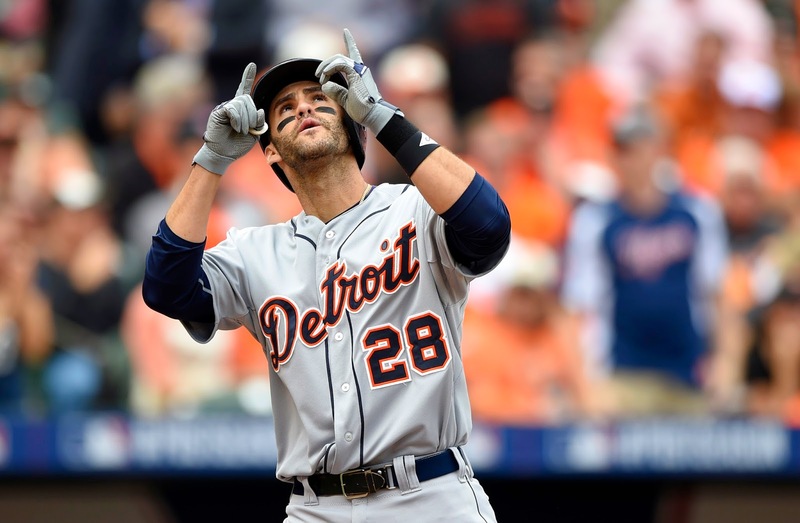 - The Tigers missed out by not signing free agent Nelson Cruz this off season, but J.D Martinez has made up most of the production they would have gotten. That's been true even in the postseason where Cruz excels, at least so far. Huge three-run bomb by the kid. - Wei-Yin Chen was the ideal starting pitcher for the Tigers to face. He doesn't have the power arm to overwhelm the Tigers' power hitters. The Tigers took full advantage. They just teed off on Chen in the fourth inning. It was type of frame that could change the course of the series. - Justin Verlander has pitched well today. The home run by Nick Markakis would have stayed in most ball parks. The Tigers need to keep slugging in this game, and Verlander needs to give them seven plus innings today. The last thing the Tigers need is to put pressure on their beyond-shaky bullpen. A rout is order, and it's possible, if the Tigers keep applying pressure. That way the Tigers' bullpen would have a chance to regroup. - It's taken a long time for Andrew Miller to find his stride, but the former Tigers' No. 1 draft pick obviously isn't the same roll-of-the-dice entity he has been throughout most of his career. Miller has always had a terrific arm and a lot of tilt on his slider, but he has been one of the classic cases of taller pitchers who have struggled with their mechanics and, therefore, his command of the baseball. No anymore. He displayed terrific command tonight. - Baltimore manager Buck Showalter had the advantage of being able to match up hitter against hitter with his bullpen much more than the Tigers' Brad Ausmus. Darren O' Day, so tough on right-handed hitters, is an example. - A mixed bag on the Mac Scherzer start tonight. He did keep the Tigers in the game, but a base was open when Nelson Cruz homered. The Orioles go-ahead run came off a bloop hit. Scherzer was outstanding after that until the home run allowed to J.J. Hardy. - I think Hardy is one of the most underrated players in MLB. He is a great fielder and has power from the shortstop position, which has become rare these days. - Orioles starter Chris Tillman looks really good, but the Tigers are making him work for it. It's possible this could only be a five-inning start for him because his pitch count is so high (81). Max Scherzer has been much more efficient. That's good for the Tigers. 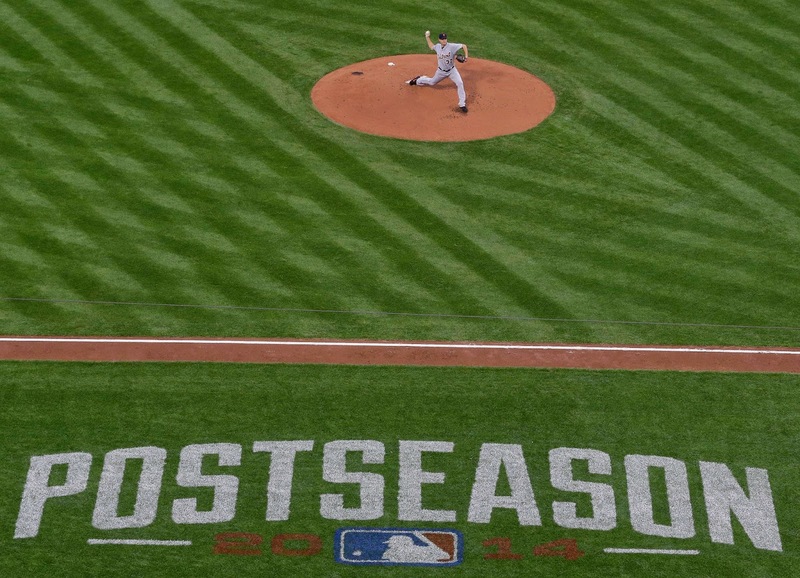 The last thing they want is this to become quickly a battle of the bullpens. - Count me among those who was absolutely wrong about Nelson Cruz. I thought the Tigers, like most of MLB, should avoid him like the plaque. His defensive metrics had alarmingly declined. His advanced numbers were way down overall, in fact.. He appeared past his prime. There was the PED suspension. But having written that, every time he steps to the plate, especially against Max Scherzer, it remains a menacing thought for Tigers' fans. Also, there is no way the Orioles are here without Cruz. It was a great signing. - Having gone on and on about Cruz as a "Tiger Killer," and his big season in '14, part of the blow was lessened for the Tigers because J.D. Martinez had such a good season. He doesn't have to center the ball perfectly to drive and extra base hit or hit the ball out of the park. We saw that on his home run today. - Both these teams are lacking offensively at the bottom of the order. There is no edge either way, that way. To me, the matchup between the Tigers and the Baltimore Orioles in the American League Division Series is a contrast of strengths and weaknesses. I see the Tigers' starting pitching as a strength, and their bullpen as a weakness. I see the Orioles bullpen as a strength, and their starting pitching as a weakness. The Orioles are much stronger defensively, but the Tigers have more overall power. Experience is on the Tigers' side. Some people are dismissing that aspect, but it could be factor in a closer series. Last year I picked the Tigers in five over Oakland in the ALDS and the Red Sox in six over the Tigers in the ALCS. I had a pretty good feel about what was going to happen in those series, and was right. In this series, I am not certain about anything. No outcome would surprise me. It's not like the Orioles starting pitching is that bad, nor the Tigers' bullpen not capable at all of coming through. Power is a fickle element. It comes and goes. Will the Tigers slug the ball (not just home runs, but doubles) in this series? The Orioles have some power, too. I'm picking the Tigers in five because I like their odds in a Game 5, even in Baltimore, because of starting Max Scherzer on the mound. I do like the fact they have been through this before and their ability to bounce back, which they displayed during the regular season often, and because of the individual motivation of many of their top players (see column below).